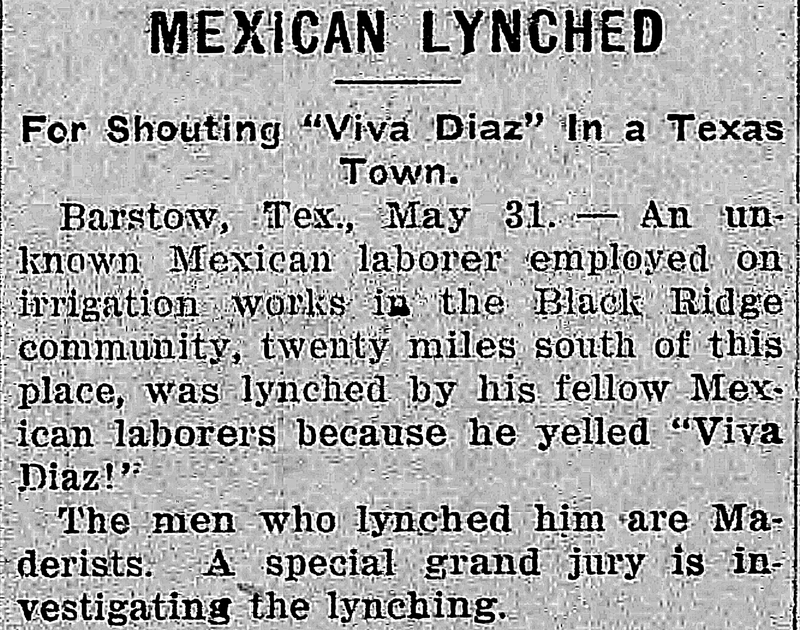 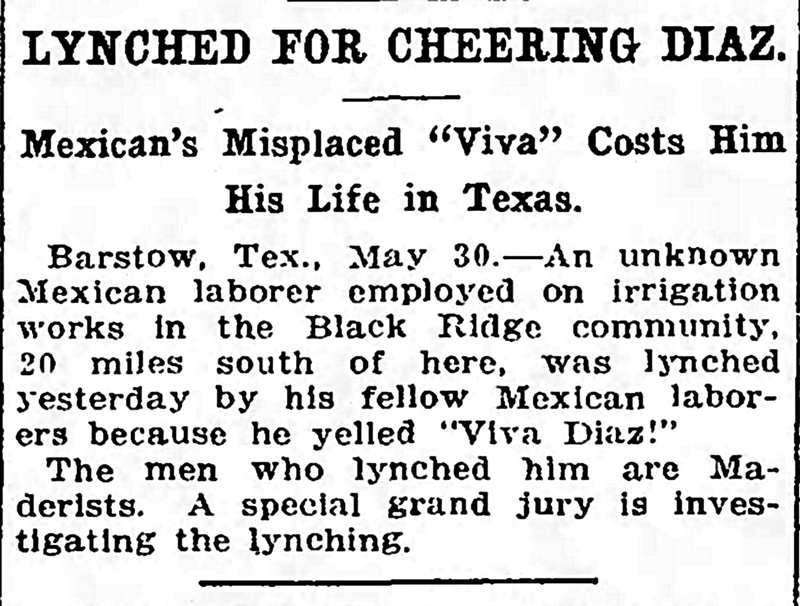 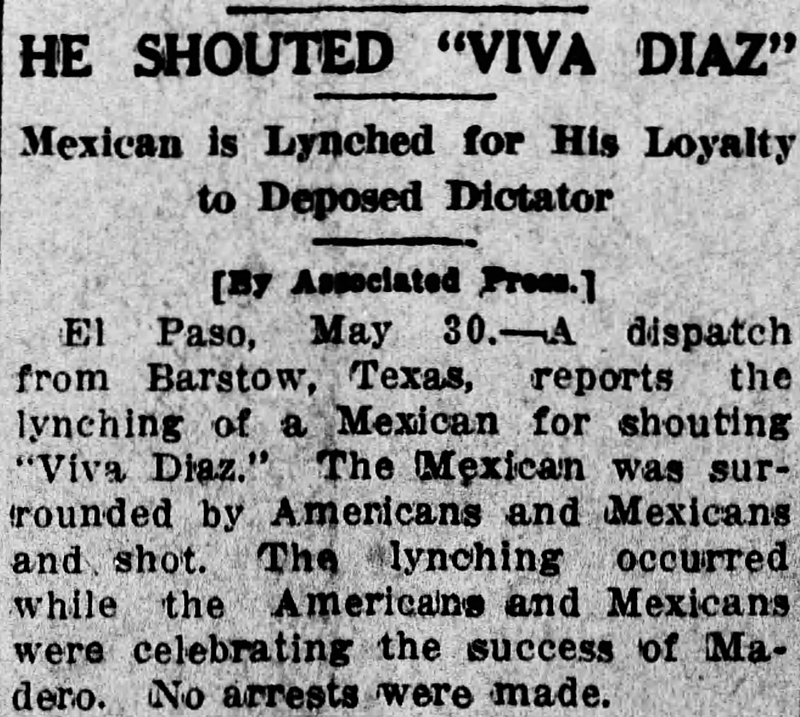 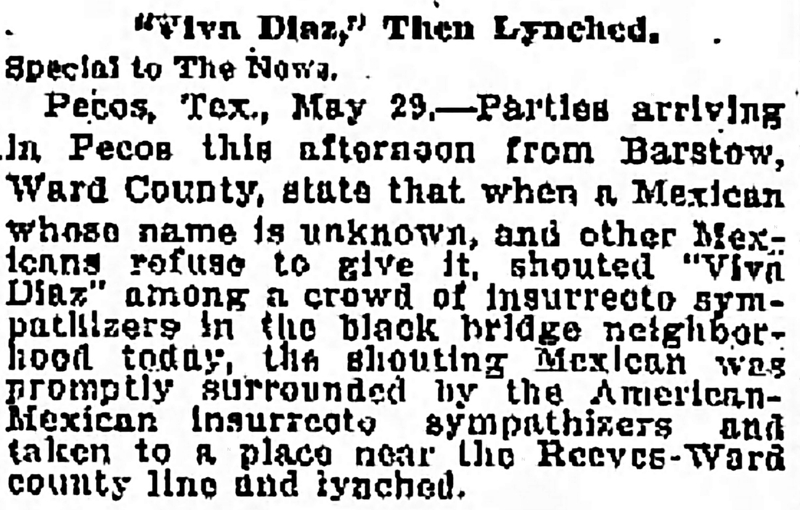 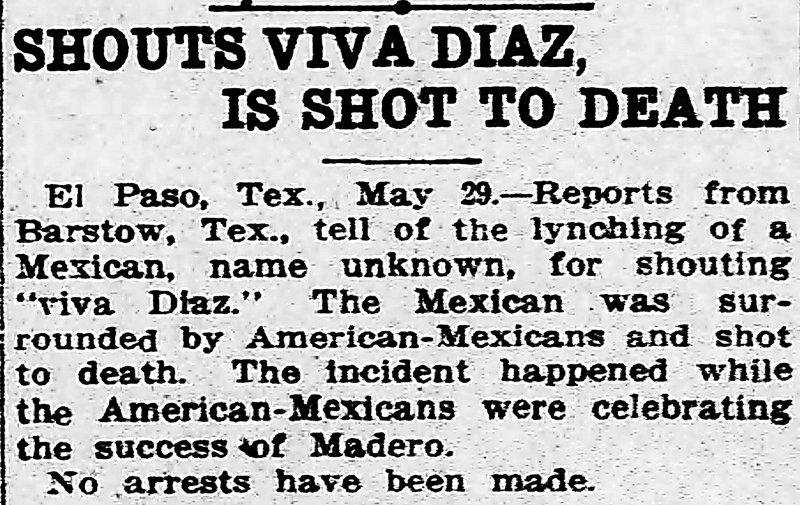 Alleged Crime: Shouting "Viva Diaz"
Lynching in Texas Staff, “Lynching of Unknown,” Lynching In Texas, accessed April 21, 2019, http://www.lynchingintexas.org/items/show/720. 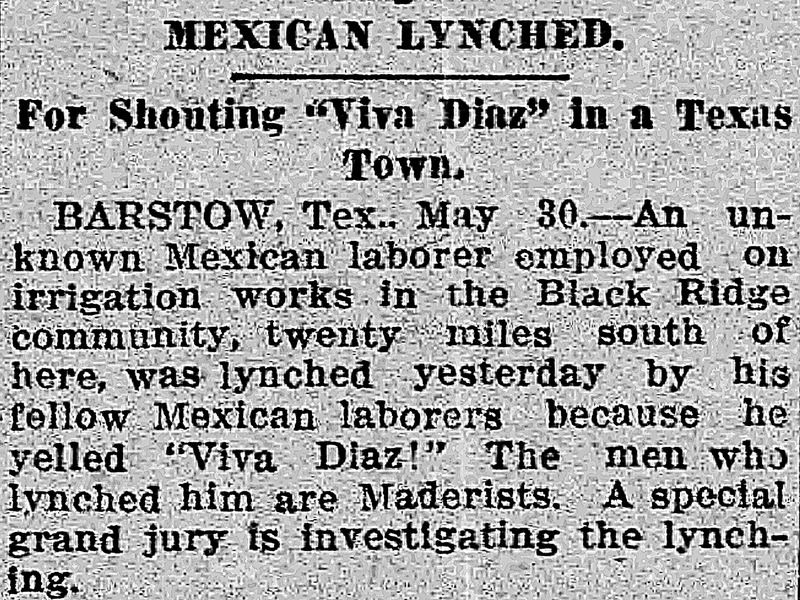 Published on Aug 8, 2018. 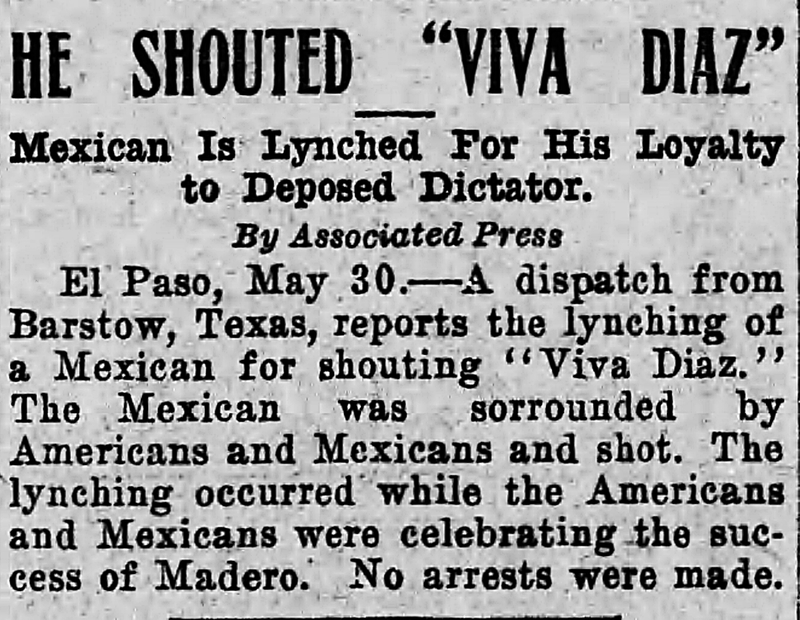 Last updated on Dec 9, 2018.